It's time for a special review. 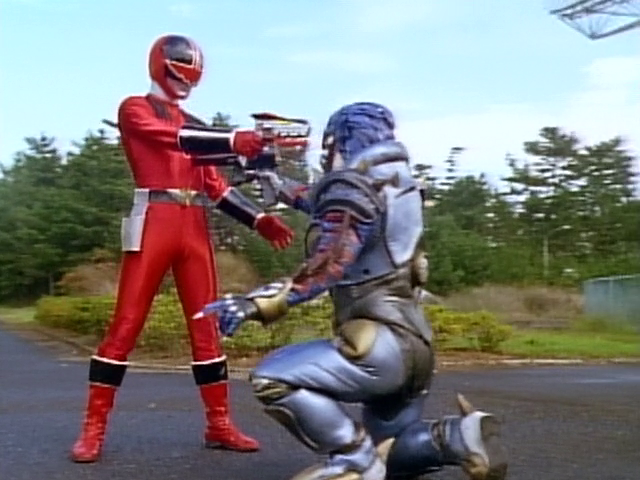 As much as I thought I won't do any episode by episode reviews for old school Super Sentai but today is a special day. One reason why I won't do episode by episode reviews for old school is because fan subs tend to be released by batches. Doing reviews on them can get in the way of real life. 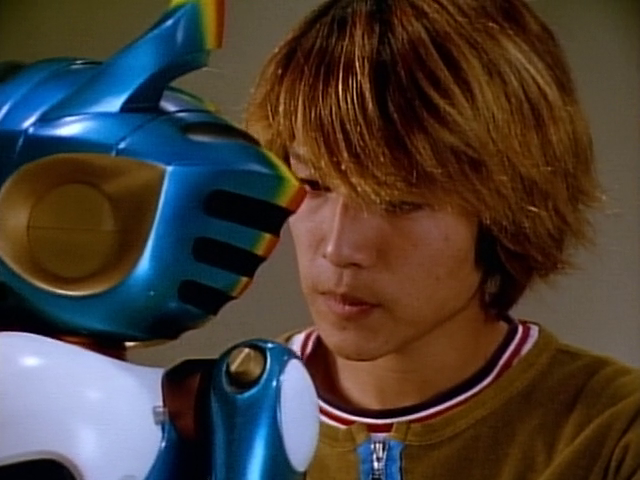 On the other hand, doing a weekly review of the latest Super Sentai (but still don't expect updates on merchandise) is an easier task since I get some rest after doing so. I hope you can guess why I'm doing a review on this one. Tock feels like that he's no longer useful since his circuits were tampered with. 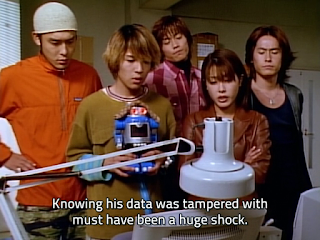 Speaking of which, the Timerangers want data concerning the Great Disappearance. We also receive the foreshadow concerning Captain Ryuuya who had other plans. This causes Tock to leave believing that he was useless. The episode also focuses on developing Naoto or Time Fire. He battles the alien Gate who has hacked through the security system. This causes a problem with the self-destruct mechanism. Is it me or is Gate somewhat inattentive and careless as well? The whole self-destruct process was sped up. Sion manages to get Tock back on track to stop the hack. This also raises more issues with Captain Ryuuya tampering on data. 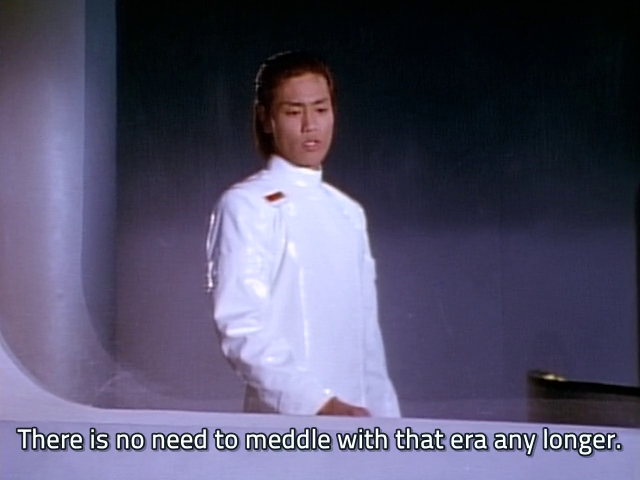 Is it me or what in the world is Masato Kusaka errr Captain Ryuuya thinking again? He denies the Timerangers the use of the emergency system. This alone should get anyone suspicious about what he does. Like as said some fans even think he's the "Bigger Bad" who enters into the morally gray area. 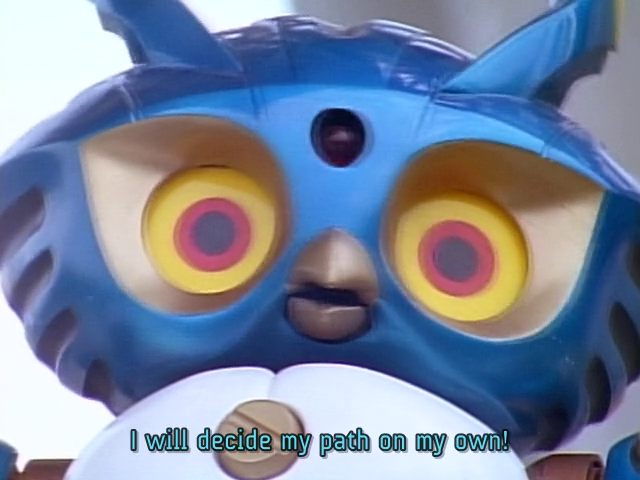 It's almost like the Overlord of Darkness in Kamen Rider Agito who seeks a better future but does some questionable stuff. This walking spoiler of a douche still leaves some questions behind on whether or not he saw a third outcome. At the end of the episode, Tock decides his own path and defies Captain Ryuuya. This also plays an important role for the finale arc. He knows some information on the Great Disappearance in 2001 as well as the identity of the real Time Fire or what's supposed to happen. Though I have a feeling Captain Ryuuya still withheld a third outcome after the Great Disappearance from his head.